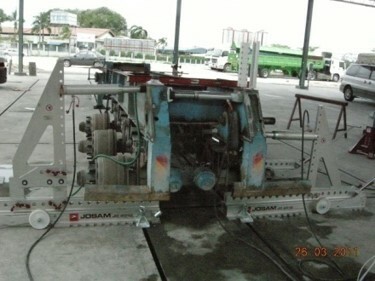 We are now the only workshop in Johor equipped with the latest state-of-the-art JOSAM truck repair system from Sweden. And improving the quality of truck frame repair with the state-of-the-art JOSAM Induction Heater, the only one of its kind in Malaysia! 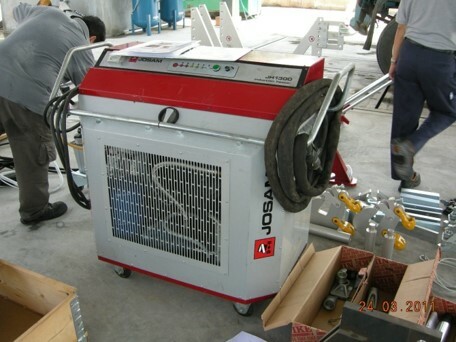 And with improved car repair equipment like the Maxima and the Autoliner repair systems. 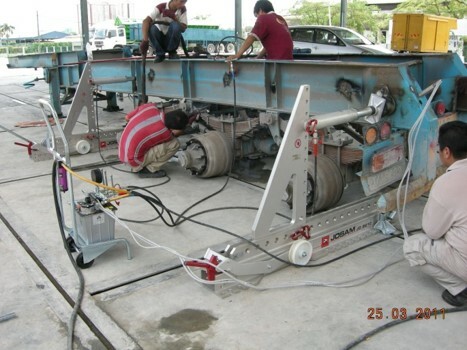 The bulk of accident damaged truck and truck frame repair in Malaysia today are still carried out using traditional methods ie. brute application of force and a lot of heating which affects the quality of repair. In most cases, the truck needs to be completely dismantled resulting in repair times that is much longer than necessary. The final result is a truck that may or may not be road worthy. Today we are changing the dynamics of truck repair in Johor by investing in the Josam truck frame repair system from Sweden. With this system we can now repair truck frames by the correct positioning and application of the straightening forces in all 3-dimensions. 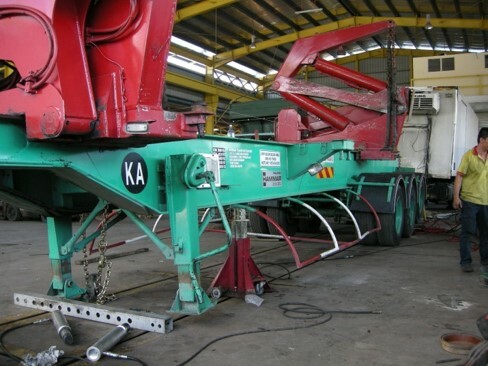 Road worthiness requires a truck frame that is straight and symmetrical about its central axes and that all the wheels are properly aligned thereto. 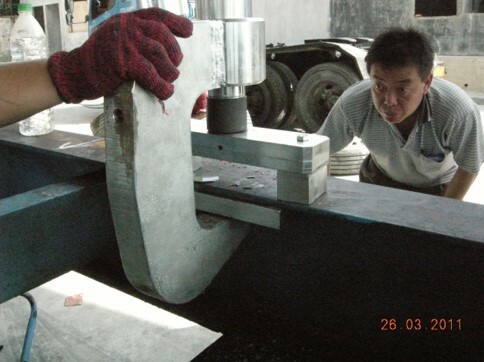 Since the truck frame can measure up to 50 ft long, relying on eyesight or a flexible tape cannot achieve the level of accuracy required. 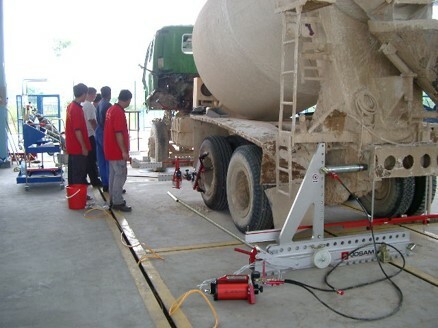 For this we use the Josam laser measuring system to measure and align both the chassis and the wheels. The use of heat in the frame straightening process has always being a controversial issue and a point of contention between repairers and truck owners. 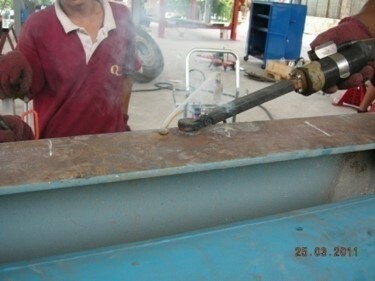 Traditional methods of repair must rely on applying a lot heat to reduce the straightening forces, which may result in weakening the strength of the steels. To overcome this weakness, we have also invested in the Josam induction heater which applies heat only where necessary to achieve a shrinking effect and with pin-point accuracy without causing any frame distortion. The Josam system has been so effective in Sweden that since its introduction in Sweden in 1972, the number of completed chassis rails which were replaced after accident damage has decreased from 300 to an average of 3 annually, without a significant change in the accident rate.